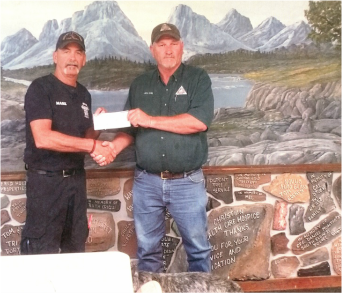 Local Barry County fire departments received over $11,000 in matching grant funding from the Missouri Department of Conservation and U.S. Forest Service in the month of July. The matching grant is for volunteer fire departments to help them fight wildfires and structural fires throughout the year. The grant program is an annual offer for rural fire departments. This year, Eagle Rock-Golden-Mano (ERGM), Purdy, Jenkins and Washburn all received checks to help them purchase equipment. During July and August, MDC will distribute a total of $338,490.28 among 156 fire departments across the state. Locally, ERGM received $1,587.65, Jenkins received $3,895, Purdy received $2,966.27 and Washburn received $2,744.69. Only fire departments that serve an area with a population of fewer than 10,000 qualify for the funding. “These grants mean increased safety for the firefighters and better protection in forested areas of the state,” said Webster. To date, over the past 30 years over $7.5 million has been handed out to Missouri fire departments to purchase equipment they would not be able to afford otherwise. Money can be used to purchase protective gear, radios, chainsaws, hoses and hand tools. The money is funded through the Volunteer Fire Assistance Program. 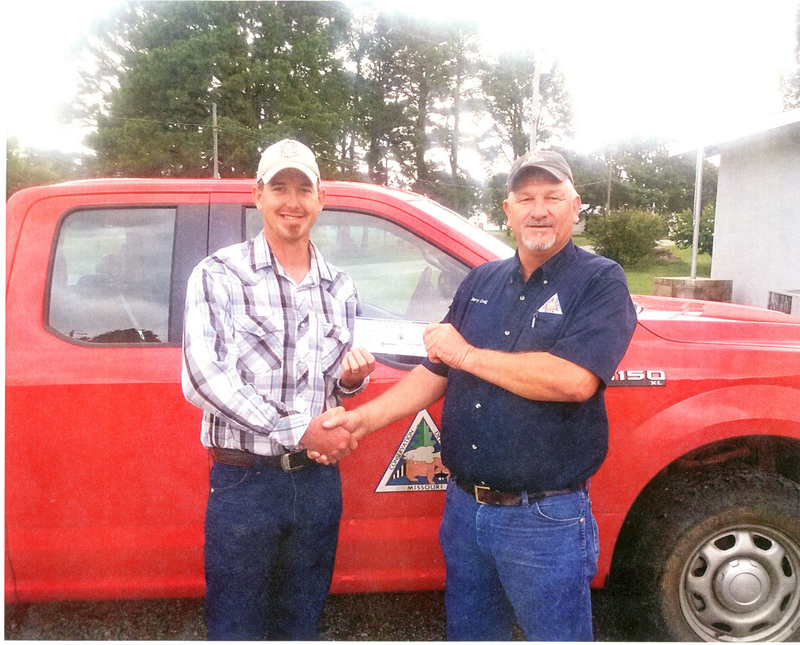 Above, Trey Phillips (left), captain of the Jenkins Fire Department, receives a matching grant check for $3,895 from the Missouri Conservation Department represented by Jerry Craig (right). 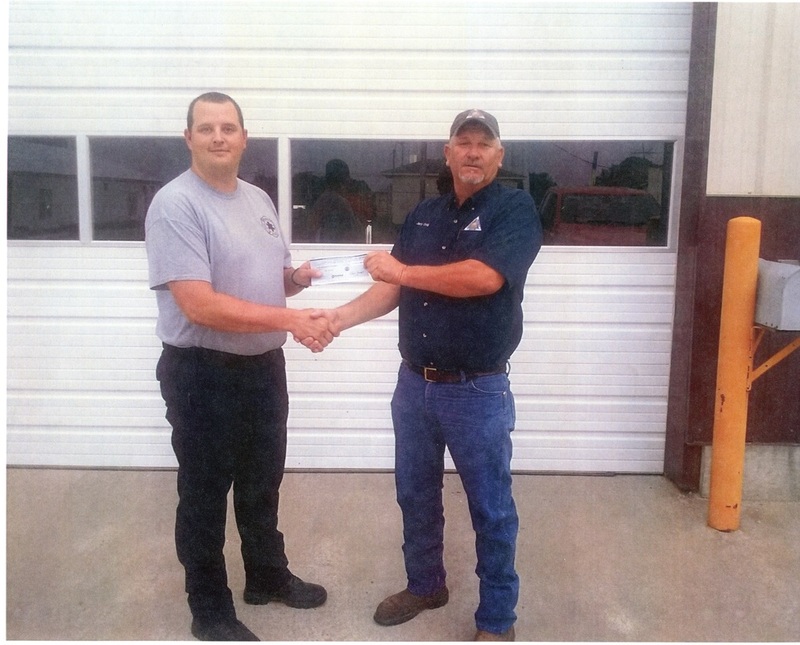 Purdy Fire Chief Nick Mercer received a check for $2,966.27 from MDC representative Jerry Craig. 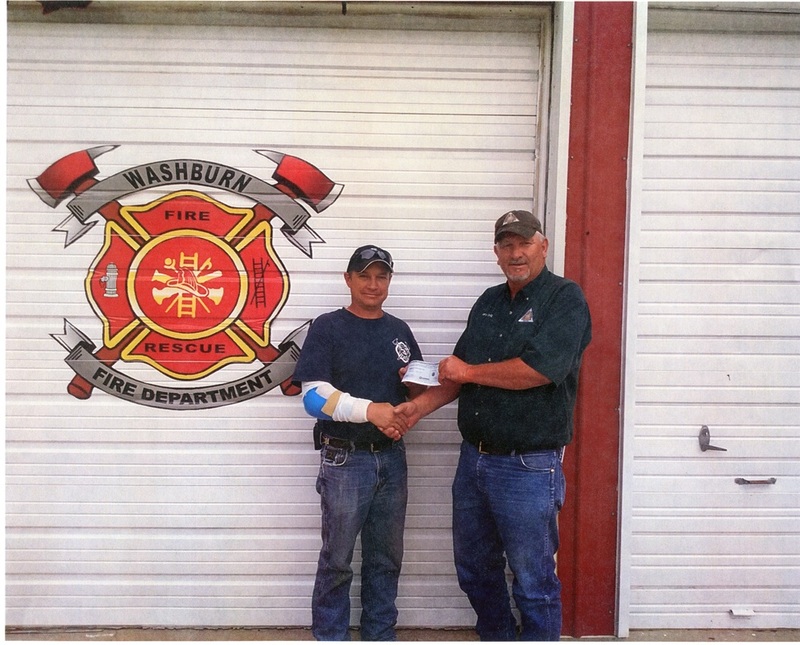 Washburn Fire Chief Brandon Howard received a check for $2,744.69 from MDC representative Jerry Craig. Eagle Rock-Golden-Mano Fire Department chief Mark Pierson received a check for $1,587.65 from MDC representative Jerry Craig.